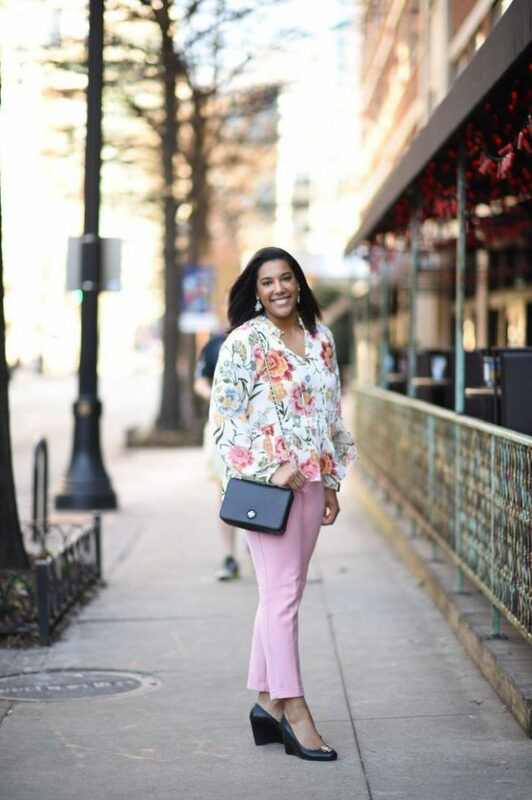 In today’s blog post I want to speak about mature ways to wear pink this year. I think every grown-up lady wants to know how to wear pink clothing and accessories at their ages. Originally, this color is considered to be ideal for women, but when we speak about pink, we automatically imagine little girls. 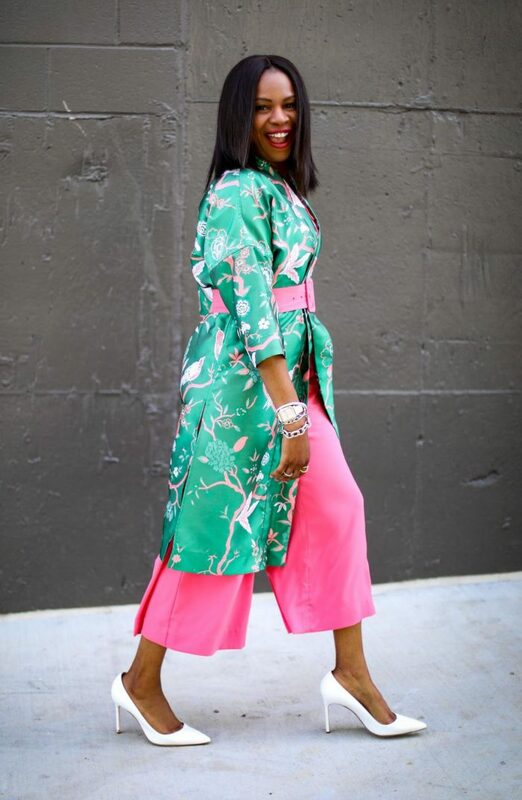 Here are shown awesome ways how to wear pink if you are already a grown-up lady. Of course, you should know that too much of this color will only make you look weird, that’s why follow these tips and I can assure, you gonna look both sophisticated and gorgeous. If you want to make a statement, then why don’t you go for a splash of pink color. 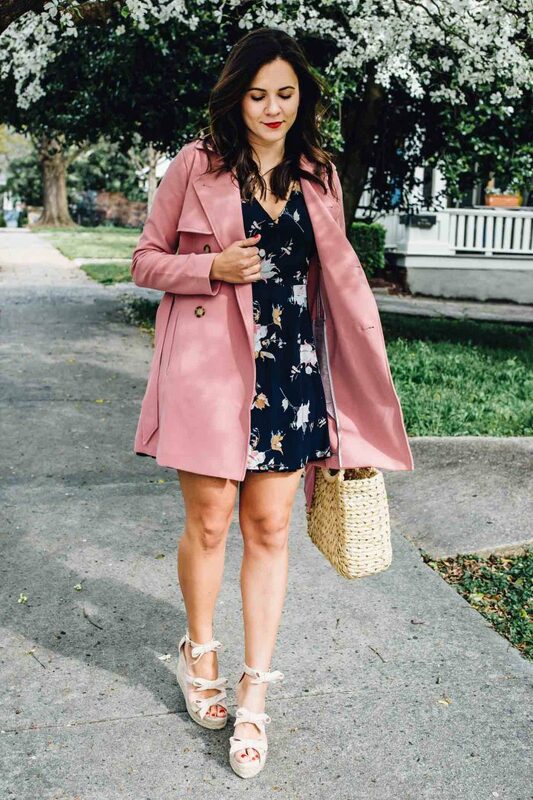 Try on an outfit fully completed in shades of pink. You can wear a romper with small dashes of a pink shade. I do not recommend to you wear those dresses and outfits that are completed with ultra-feminine cuts, better keep your look structured and elegant. If you are the self-confident lady, then you can try on a solid color dress in blush hue. The pastel shade will only underline your sweetness and respectability, without making you look girlish. 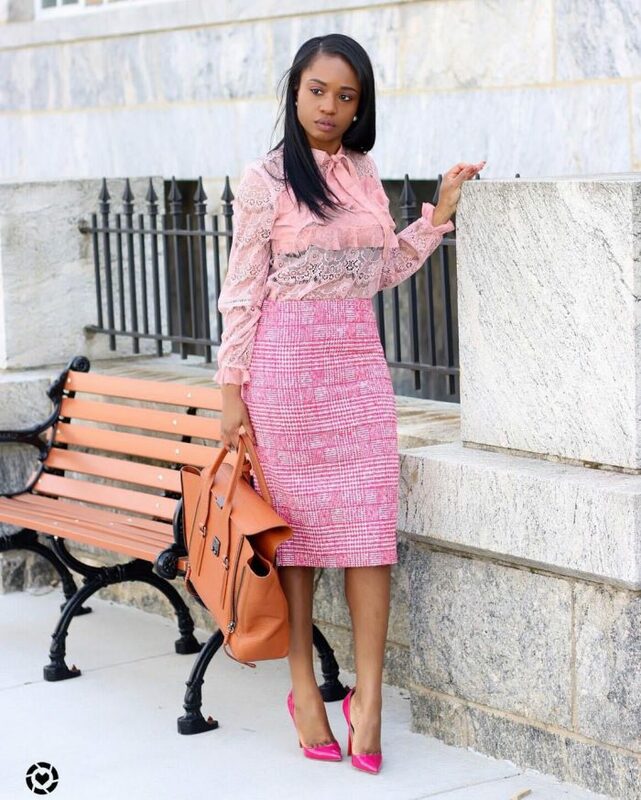 I recommend avoiding those pink ensembles completed with lace, ruffles and other ladylike details. Pink hue can be mixed in one of your favorite prints. The mixed print that features pink color is a perfect way for grown-up ladies to wear this sweet hue in real life. Try on printed pink trousers and style them with your lovely neutral color top. Complete the look by adding contrasting jewelry and accessories. If you want to create a vibrancy, then you should try on a color blocking look. The result gonna look refined, vibrant and strong. I know how hard it can be for wearing color-blocking outfits, but you should overcome yourself and make it look awesome on you. Go for a pink top and red bottoms or vice versa. 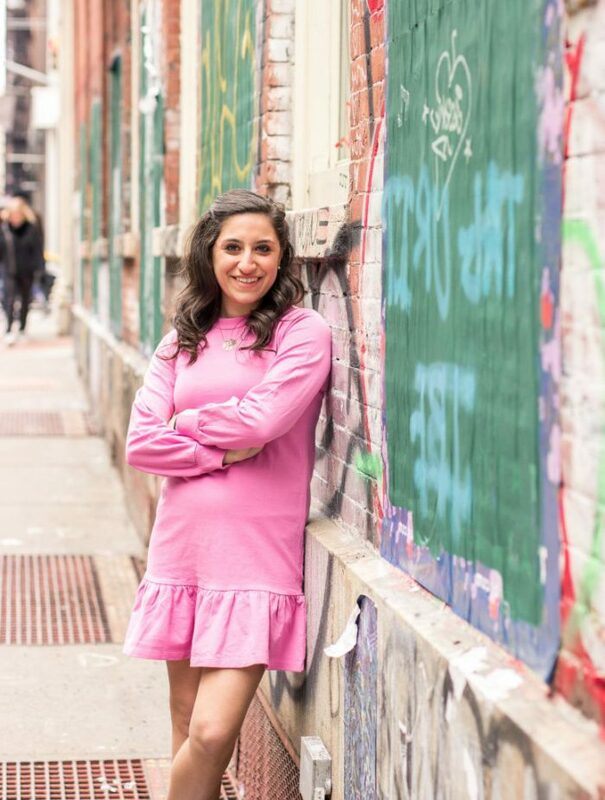 Another great way to make pink look awesome on you is to try on athleisure trend. 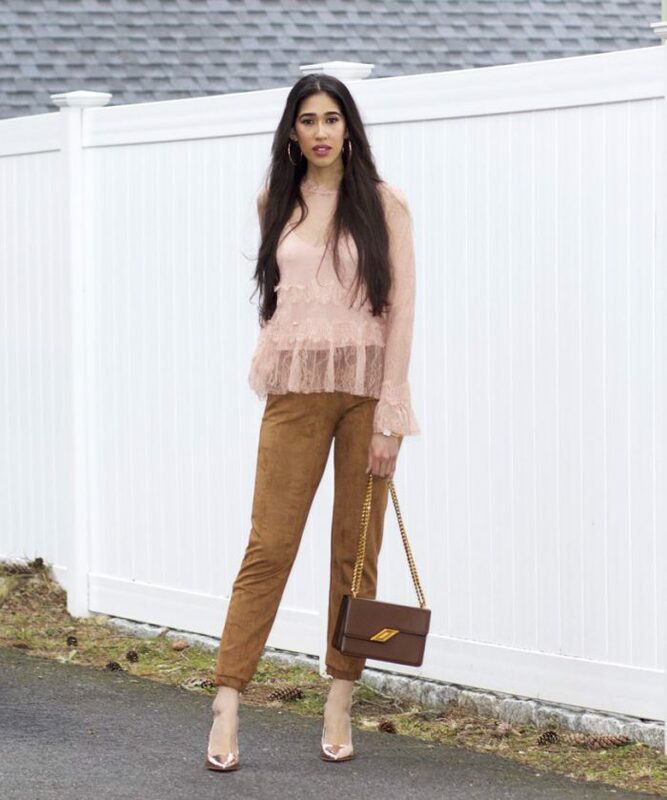 You can go for a blush sweater tucked in grey pencil skirt completed with blush sneakers or make a statement with a pink turtleneck sweater, sweatpants, and white runners. I am so in love with this athletic vibe. If you are afraid of wearing pink garments, then you can always grab a bag that is the safest way of wearing pink in real life.